As spring quickly approaches, it is time to start thinking of turning off the heat and turning on the air conditioner. For those with central air, the task is as simple as flipping a switch, but to those who use window air conditioners, it is a bit of a challenge. Newer mobile home windows are built sturdier and by the same or with better standards than stick built homes. Older mobile home windows, however, may be different. For example, a 1994 mobile home without remodeling may have single panes with a storm window on the outside and a thin one on the inside. The metal frame is thinner and provides less insulation. Installing an air unit in this home needs a bit more work. First, it is essential to check the condition of the window itself. If there are any visible leaks or breaks in the frame, they should be fixed. For mobile home windows whose ledge has deteriorated over time, a quick and relatively easy fix can be found at the local hardware store. By using a 2X4 and nailing it in place and re-screwing the window frame in place, a sturdy surface is ready for a window air conditioner. The second step is cleaning the air conditioner. Make sure all vents are dust free and filters are replaced. This not only allows the air to flow freer but keeps allergy-causing dust at bay. Installing the air conditioner in a mobile home window takes two strong people. One person will be inside the home at the open window and offer support as the other inserts the air conditioner from the outside. Once it is sitting properly in place, it is essential to seal the unit. 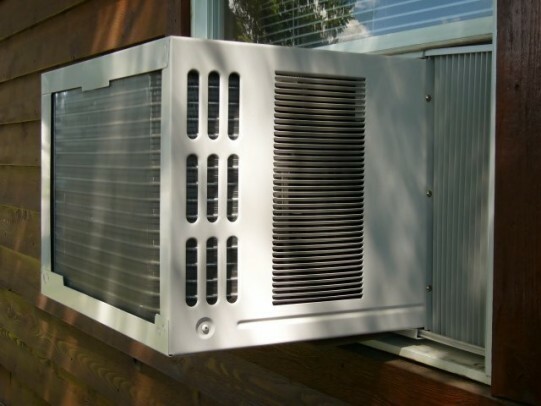 Most air conditioners come with expandable vents that adjust to the size of the window. If that does not seal the entire area, using boards and expansion foam insulation is an easy, inexpensive solution. Related: Top 10 Tips for Air Conditioner Maintenance. Air conditioners sitting inside a mobile home window aren’t the most attractive appliance nor are they eye-catching; however, one cannot help but notice the obtrusive unit. 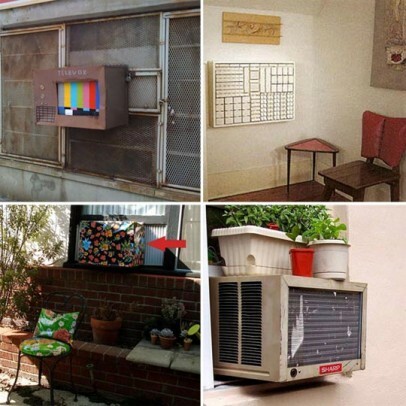 It is possible, with a little imagination and creativity, to make a mobile home window air conditioner more attractive. Cafe curtains make great air conditioner covers. One great and inexpensive solution is to use café curtains. The curtains are made with a top unit, if you choose to use one, and a lower unit. 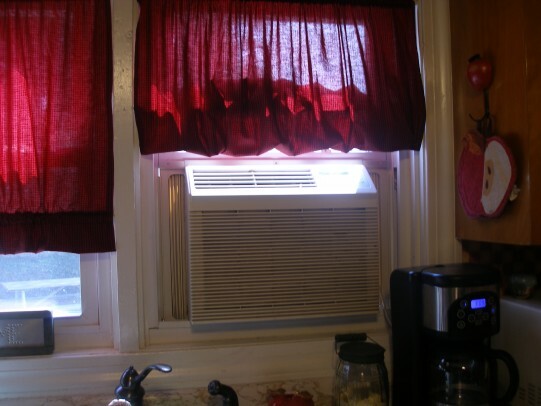 By adjusting the position of the bottom curtain, the air conditioner is hidden. 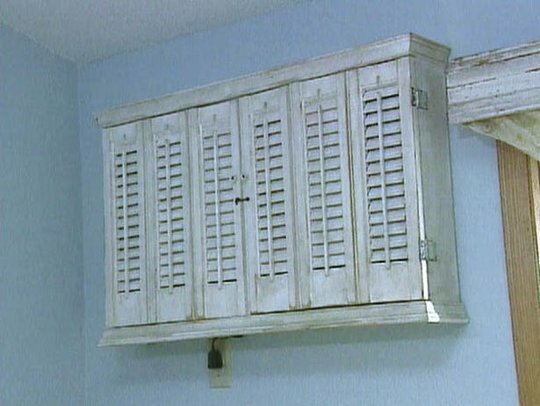 When the unit is in use, use decorative tie backs to expose the air flow vents or simply push the curtains to the side. If air is not needed, closing the curtain hides the unit from sight. 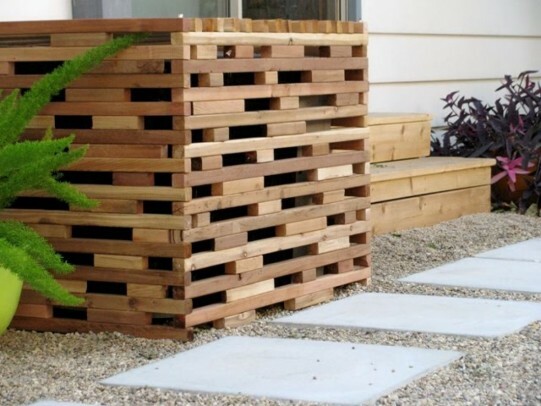 Garden trellis – bring the outdoors in for a natural air conditioner cover. Another great option is bringing the outdoors inside. A garden trellis decorated with muslin and potted plants creates a garden oasis in the home as well as hides the air conditioner in a mobile home window. If muslin isn’t your style, that’s fine. Use any fabric that suits you. 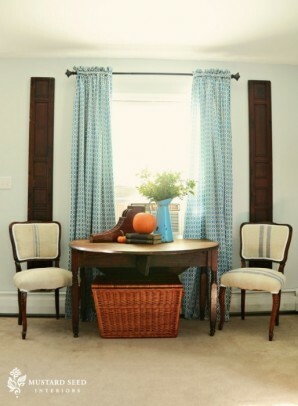 Be sure to use the fabric around the frame of the trellis so air is not blocked from entering the room. With imagination, it is possible to not only make mobile home window air conditioners less obtrusive but to bring more personality into your home. Note: Please welcome our new writer, Tina Todorovich, to Mobile and Manufactured Home Living! This was her first post but there will be many more to come! Thanks to your support, MMHL is growing and on our way to becoming the resource that every mobile and manufactured homeowner deserves.